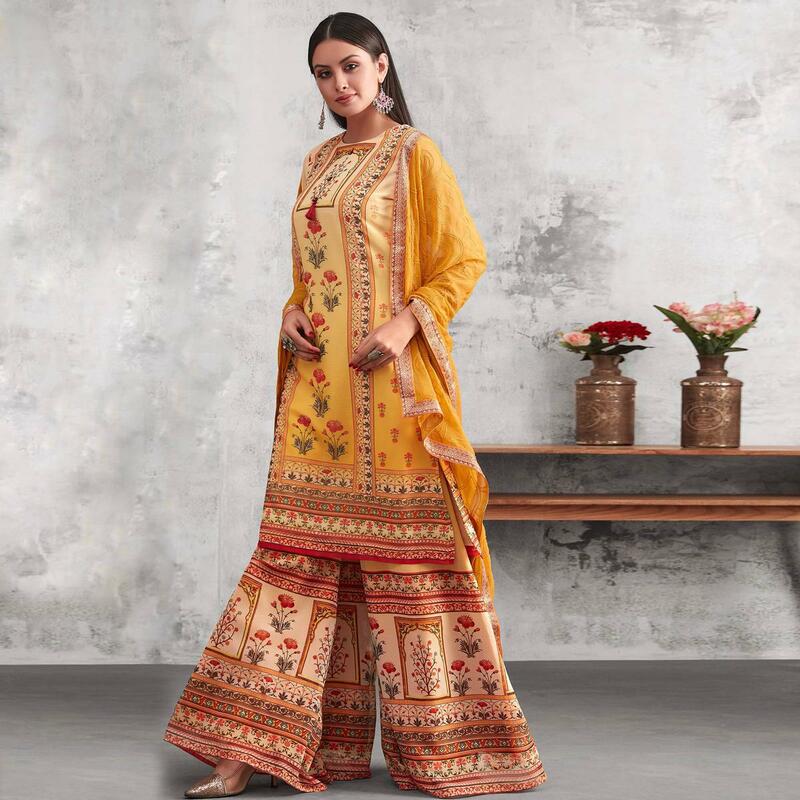 Style and design and trend would be at the peak of your attractiveness after you attire this excellent yellow colored palazzo suit. The top and bottom is made of georgette fabric which is stylized with beautiful print work. Comes along with matching colored thread work chiffon dupatta all synchronized well with the latest trend and style. This suit is lightweight and soft towards skin which is easy to carry all day long. This outfit is perfect to wear at parties, weekend get-together, casual wear, office wear. Team this suit with ethnic accessories and high heel for a complete look and fetch compliments for your rich sense of style.